The Aspen Brands Company cares about giving back to the community. 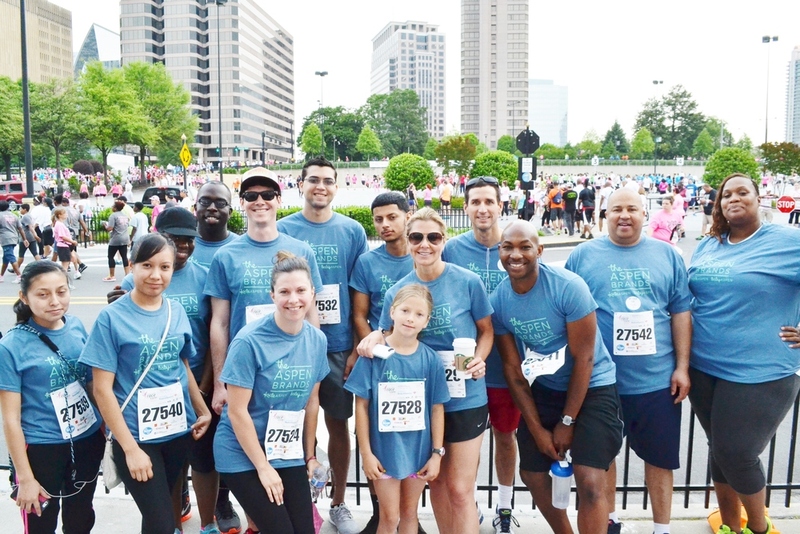 We plan activities throughout the year that allows our employees to volunteer, fundraise and host events, to give back to the community in different ways. Each year we raise money for different charities, support food drives, clothing drives, and toy drives throughout the year to help others in need. The dedicated team of employees who handles our philanthropic efforts is called the Culture Club. Not only are they responsible for planning and organization our charitable efforts, the Culture Club is the driving force behind our company events. Teaming up with our HR Department, the Culture Club, assists with planning fun company events throughout the year. This team is committed to fostering teamwork, community, and fun at work. There is never a dull moment with this group as they constantly strive to create a great work experience for everyone in the company.